Pamela Jennings, Ph.D. is the Research Manager and ICORE (Alberta Informatics Circle of Research Excellence) Visiting Professor at the Banff New Media Institute in Alberta, Canada. Her career path has been rooted in research environments that support a hybrid integration of creative practices and the development of innovative information technologies. She has held a joint appointment in the School of Art in the College of Fine Arts and the Human Computer Interaction Institute in the School of Computer Science at Carnegie Mellon University. Her curriculum and research at CMU included courses in multimedia programming and physical computing to seminars on critical theory and interaction design practices. Prior to this position, she worked as an interaction design researcher in human centered computing and educational technology at the IBM Almaden Research Center and the SRI International Center for Technology in Learning, both in the Silicon Valley region of California. At IBM, Jennings was the senior project manager for the IBM alphaWorks web portal that provided an access path between IBM software researchers and external software developers. Jennings also co-led research in ubiquitous computing and augmented environments in the IBM Almaden User System Ergonomics Research Lab. At the Center for Technology in Learning, SRI International in Menlo Park, California, she led the design of several educational web and software research projects. Jennings worked as a multimedia programmer and new media producer in the dot-com industry for clients including Time Warner Interactive and NBC Interactive. 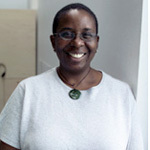 She has also held board of director and resource development positions in several non-profit media and art organizations in New York City including the New York Media Alliance and Creative Time, Inc..
Jennings’ digital media works make visible personal narratives by revealing hidden realities while simultaneously encouraging public discourse. Her creative work has been cited in Lisa Farrington’s Creating Their Own Image: the History of African-American Women Artists, Oxford University Press and Phyllis Klotman and Janet Cutler’s Struggles for Representation: African American Film/Video/New Media Makers, Indiana University Press. She has exhibited at the Kiasma Museum of Contemporary Art, Helsinki, Finland; FE Gallery and Future Tenant Gallery, Pittsburgh, Pennsylvania; Parsons’ School of Design, New York; MIT List Center for Visual Arts, Cambridge, Massachusetts; 707 Contemporary Gallery, Santa Fe, New Mexico; Studio Museum of Harlem, New York; Carleton University Art Gallery, Ottawa, Ontario; and many international film and video festivals. She is a MacDowell Artists Colony fellow and has received funding from the National Science Foundation, Rockefeller Foundation, New York State Council on the Arts, and the Pennsylvania Council on the Arts. Jennings’ research policy projects focus on the development of pathways to integrate creative digital media practices with science and technology research. She was commissioned by the Rockefeller Foundation to write a report on the state of research and funding for digital media art titled, New Media Arts | New Funding Models. She has advised the National Science Foundation on the development of the interdisciplinary funding programs that embrace creativity. She curated the NSF funded exhibition Speculative Data and the Creative Imaginary: shared visions between art and technology at the National Academy of Sciences Rotunda Gallery in Washington D.C. in 2007. This exhibition was the first major retrospective of contemporary digital media art/research projects at the National Academy of Sciences and in Washington, D.C. Examples of her research, creative digital media projects and student work can be viewed on the www.pamelajennings.org web site. Jennings’ received her Ph.D. in Human Centered Systems Design from the Center for Advanced Inquiry in Integrative Arts at the School of Computer Science, University of Plymouth, United Kingdom; M.F.A. in Computer Art from the School of Visual Arts; M.A. in Studio Art from the joint International Center of Photography and New York University program; and B.A. in Psychology from Oberlin College.